What does your house cat have in common with a cheetah or a lion? Almost everything. All cats belong to the same feline family and there are 36 species of cats on the earth. All cats are carnivores, meaning they eat meat. They have fast, agile bodies and can move without making a sound. Cats can climb trees and run. Your kitty probably doesn’t like water, but all cats can swim. 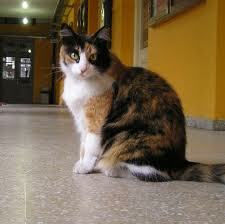 All about the Cat Family: All cats belong to the same feline family including home pet cat. Cats have great night eye sight. Their ability to see at night is six times better than ours. They can also hear sounds that we can’t hear. House cats can hear high, squeaky sounds like those made by mice. Lions can hear low-pitched sounds that we can’t hear. Cats have retractable claws, which means their claws can come out to pounce or scratch and then disappear. Some type of wild cat, such as lions, cheetahs and mountain lions, live on every continent except Australia and Antarctica. Small cats can purr but they can’t roar. Big cats can roar but they can’t purr. Newborn kittens learn to purr when they are only 2 days old. 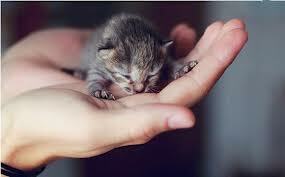 Newborn kittens learn to purr when they are only 2 days old but that’s not all about the cat family. Jaguar also belongs to Cat Family. Cougar: Among the biggest of all the small cats. An audio visual presentation of pictures of all the members of the cat family. Question: What is the difference between a jaguar and a leopard? 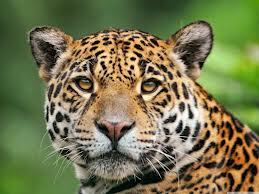 Answer: Jaguars and leopards look very similar, but jaguars are bigger and stockier. They also have shorter tails. 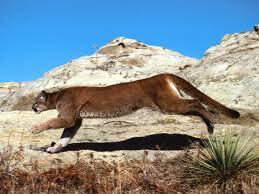 Question: What’s the difference between the mountain lion, puma and cougar? Answer: Nothing. They are all the same animal, the biggest of all the small cats. These cats live in North America and Canada. You might even have wild cats living near you! Question: When did people first tame cats for pets? Answer: Scientists believe people have kept cats as pets for at least 12,000 years. They probably first kept them to keep the mice under control. Enjoyed the Easy Science for Kids Website all about the Cat Family info? Take the FREE & fun all about the Cat Family quiz and download FREE Cat Family worksheet for kids. For lengthy info click here. Declan, Tobin. " Fun Cat Facts for Kids ." Easy Science for Kids, Apr 2019. Web. 26 Apr 2019. < https://easyscienceforkids.com/all-about-the-cat-family/ >.